Place the chicken wings in a large resealable plastic bag. Pour in the dry rub and shake to coat the wings well. Prepare coals using 3 pounds of charcoal. Make sure the coals are in a pile to one side of your grill or smoker. After the coals have turned white, place 2 cups of soaked and drained apple wood chips on the pile of coals. Set the wings on the grate so they will cook by indirect heat -- in other words, not over the coals -- and smoke for 25 minutes. Mix the honey, barbecue sauce, and apple juice together in a small saucepan. Cook over medium heat until warmed through, about 2-3 minutes. Place the wings in a disposable foil pan and pour the warm sauce over the wings. Cover and smoke for another 20 to 30 minutes, stirring occasionally, until the glaze is finished the way you like it. If you're using a grill, you can move the aluminum pan directly over the coals while you're glazing the wings. 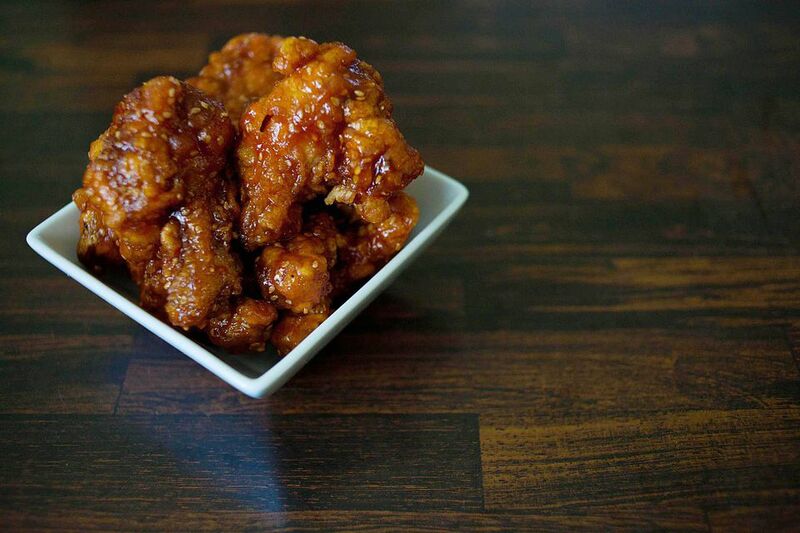 Chicken wings are fully cooked once the internal temperature reaches 175 degrees F.